May 2, 2014 Amman– At the end of a conference that brought together leaders and cadres from the Muslim Brotherhood in Jordan on Saturday in Irbid (northern Jordan), two main demands were made: changing the current leadership and banishing crisis-causing figures, as the conferees called them, and bringing in a new leadership to govern the Muslim Brotherhood for the next two years, to be chosen by consensus to ensure it can reform the statute of the Jordanian Muslim Brotherhood. Once again, two sides within the movement exchanged accusations, one describing the step as the follow-on to the so-called Zamzam Initiative, which was established by 500 figures led by expelled members of the Brotherhood in October 2013, and another side that sees the move as a domestic reform initiative, which is the opinion of a number of figures behind the conference and others who are still active Muslim Brotherhood members. The second faction includes Rami Melhem, a member of the group’s Shura Council, who told Al-Akhbar that he was among the first to call for holding Saturday’s conference. Melhem said that he had reached out to the group’s Executive Office, which did not object to holding the reform-themed conference, provided it would be under the auspices of the group. ‘However, the conference was ultimately held without any official sponsorship,’ Melhem said. In March, the GMBDW recommended an article suggesting that suggesting that the Muslim Brotherhood in Jordan was facing an increasingly deteriorating situation. 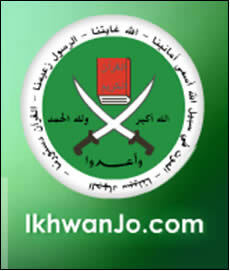 For a history of extremism by the Jordanian Muslim Brotherhood, go here.